Ed Wu gave a talk on October 13, 2016 as part of the CNS 2016 Fall Research Review. 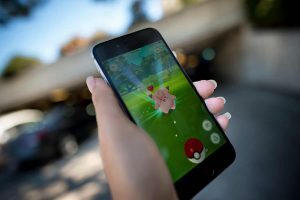 Next time you see someone playing Pokémon GO, the popular mobile phone-based game, keep in mind that a Computer Science and Engineering alumnus, Edward Wu (B.S. ’04) leads the groundbreaking game’s technical team. In his talk, Wu gave an overview of all the engineering and troubleshooting that has to happen for users to catch Pokémon, get supplies, and battle in gyms on their smartphones, at any time and in any place from the United States to France, to Australia. “The key element is overlaying a single, consistent reality over the real world,” Wu explained. This is all the more challenging because the game has been downloaded by more than 500 million people. Making Pokémon GO work for even a small fraction of these users is no small feat. Wu and his team spent most of July 2016 in a sleepless state while they were launching the game around the world. Demand was 50 times more than Niantic projected. But Pokémon GO is more than just a game, Wu said. “It’s about going outside, going on walks and meeting people in the real world,” he said. The game requires players to walk around and hit up designed spots, called Pokéstops, to get supplies. Players need to physically be near the gym where they want to do battle. Players have logged more than 4.6 billion kilometers (about 2.8 billion miles) between the game’s launch in July and August of this year—that’s half the distance between Earth and Pluto. Niantic also recently introduced a feature that allows players to get rewards to power up and evolve Pokémon for every kilometer (about 0.6 miles) they walk with their favorite Pokémon. Wu’s walking buddy is Psyduck, which looks like a cross between a yellow duck and a platypus, walks upright and has psychic powers. During his CNS talk, Wu recalled how he tried his hand at developing a multiplayer game for the first time in CSE 125, a computer science class taught by Voelker. 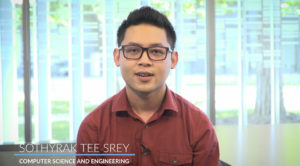 Wu and the rest of a student team created a real-time tactical combat game they called “Geteilte Stadt,” German for “a city divided.” During the class, he learned how to collaborate and work with others on complex technical problems, he said. He learned how to code, by himself and with others, and how to resolve disagreements around technical issues. “It was invaluable,” he said. Wu wore a tuxedo during the CSE 125 final presentations, when all teams demonstrated their games. Wu was a Jacobs Scholar as an undergraduate at UC San Diego—a select group chosen for their academic achievements, leadership potential and commitment to community service. Jacobs Scholars receive full tuition and living expenses, as well invitations to cultural and other social events hosted by Joan and Irwin Jacobs, and access to a network of current and former Jacobs Scholars. In 2003, he was also a Calit2 Summer Undergraduate Scholar. After graduating from UC San Diego, Wu earned a master’s in international policy studies and a Ph.D. in physics from Stanford University. He worked at the RAND Corporation and then joined Google as a staff software engineer. 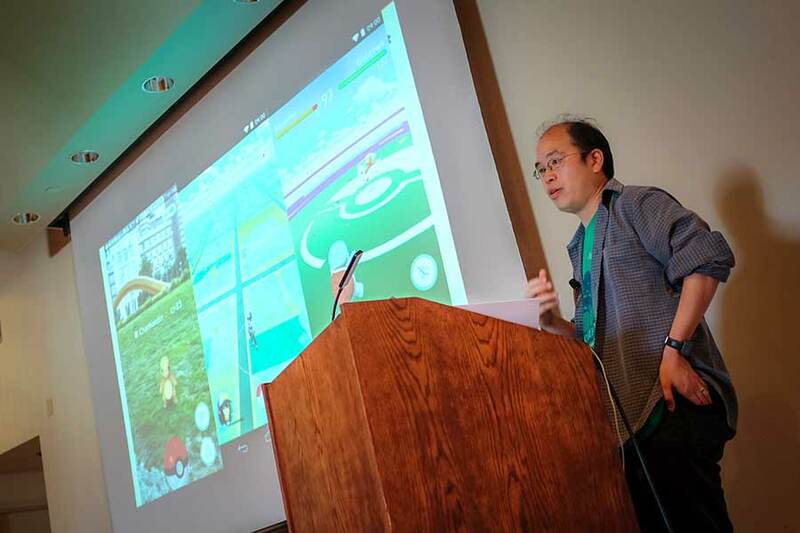 At Google, he worked at Niantic Labs, which was then an autonomous unit within the company. There, he helped launch Ingress, the massive mobile augmented reality game that preceded Pokémon GO. Fun fact: most of the Pokéstops and gyms in Pokémon GO are based on Ingress portals. Wu is currently in the process of earning an MBA from the Haas School of Business at UC Berkeley, even though he works in Seattle, WA.